AIB HAS ANNOUNCED David Duffy, the former head of Standard Bank International, is to be its new chief executive. Duffy will take up the job in December. In a statement, the bank said that his remuneration package will be “in line with Government guidelines,” which means a pay cap of €500,000. 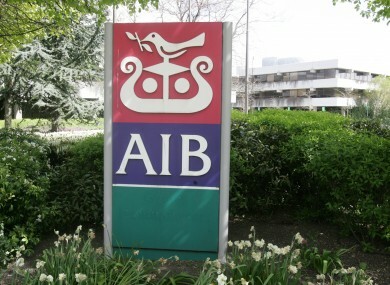 AIB is owned almost entirely by the Irish State. Minister for Finance Michael Noonan has welcomed the appointment as Duffy, noting that the government had wanted to recruit a CEO “of the highest calibre so as to yield the best possible return to the taxpayer”. Duffy (50) has held a number of senior roles in the international banking industry. Prior to becoming CEO of Standard Bank in London in 2006, he worked for almost a decade in ING Barings. From 1987 until 1997 he worked for Goldman Sachs in Europe. Duffy attended Terenure College in Dublin and is a graduate of Trinity College Dublin from which he received a Bachelor of Business Studies in 1984. Email “AIB announces David Duffy as new CEO”. Feedback on “AIB announces David Duffy as new CEO”.